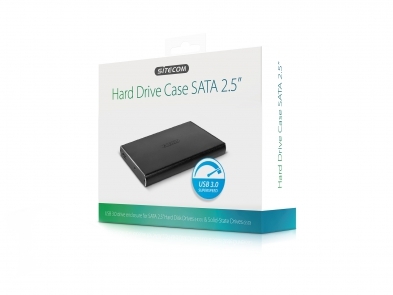 The MD-392 USB 3.0 Hard Drive Case SATA 2.5” from Sitecom lets you read & write 2.5” SATA hard drives. 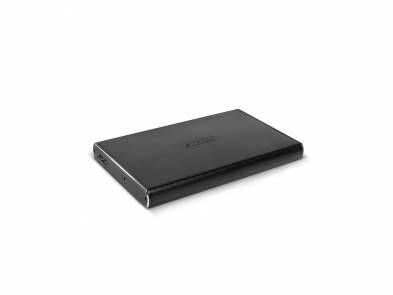 It is compatible with Hard Disk Drives (HDD) and Solid-State Drives (SSD) and lets you extend the storage capacity of your Chromebook, Ultrabook, MacBook or regular notebook easily. The lightweight aluminum housing lets you take your movies, music or files with you anywhere you go and connect instantly. The MD-392 USB 3.0 Hard Drive Case SATA 2.5” supports SuperSpeed USB 3.0 transfer rates of up 5 Gbps and lets you transfer and copy files 10 times faster than with Hi-Speed USB 2.0, ideal for transferring large files such as HD movies. The MD-392 USB 3.0 Hard Drive Case SATA 2.5” is backward compatible with USB 2.0 and USB 1.1 and is fully Plug & Play out of the box. Simply connect the drive enclosure with the included 60 cm USB 3.0 cable to a free USB 3.0 port of your computer, no drivers needed. The drive enclosure is compatible with all operating systems.